beautyemporiumonline has no other items for sale. Skinceuticals Phyto Corrective Masque TRAVEL SIZE (10x) NEW! FAST SHIP! SALE! 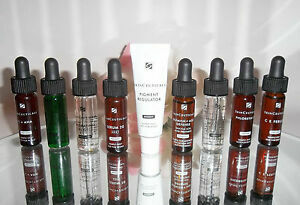 Skinceuticals Hydrating B5 gel 15ml / .5oz! FRESH! Authentic! FAST SHIP! SALE! SkinMedica GlyPro Antioxidant Serum 1 Oz. Brand New! Fresh! See payment instructions in the item's description above. Excellent size for testing out this brand! A++ experience! A++shipping!! Thank you.